For the past 30 years, Objective-C has been the main language for developing iOS applications. OSX and iOS applications rely heavily on Objective-C, a language that has been used for more than 30 years and is based on C. With the rapid development of programming around the world, it’s time to move on to the next step. In 2014, Apple announced that with more than 30 years with Objective-C, it’s time to get it down and replaced it with a new and advanced language which is of course “Swift”. Swift is an Apple’s programming language labeled as “Objective-C but without C”. It was presented at WWDC in 2014 and announced it as an open source programme in 2015. After it became open source, IBM and Apple associated jointly and started investing together for enhancing iOS application development. Swift is compatible with iOS, OSX, tvOS, watchOS and last but not the least Linux. Swift has four major releases so far: Swift 2.0 in September 2015 and Swift 3.0 in September 2016, Swift 4.0 in September 2017 and Swift 4.1 in March 2018. Years passed by, and it secured its position on Stack Overflow’s best trending techs, overcrossing Objective-C. Swift is fast, secure, modern and allows top-notch interactivity in development. It contains a number of functions, such as Closures, generics and type inference, which makes it much easier to use. It combines the features of both C and Objective-C, with no direct built-in C compatibility or any limitations that come along with it. With the latest support of Cocoa Touch, Swift completely changed the mindset for mobile application development and iOS application development for Apple products. Swift Programming Language Better than Objective-C: Here’s why? The main advantage of Swift over Objective-C is its clear syntax, which makes reading and writing much easier than Objective-C. The number of lines of code needed to implement an option in Swift is much smaller than for Objective-C. The reason for this is that Swift ignores many inherited conventions, such as semicolons on end-lines or parentheses that are closed by conditional expressions in if/else statements. With Objective-C, there were many glitches that cause application crashes. On the other hand, Swift offers fewer error-prone code to live online support for deploying texts and data strings. In addition, classes are not divided into two parts; Interface and implementation. This halves the number of files in the project, significantly simplifying the administration. In the end, Swift requires a lesser amount of programming efforts when writing repetitive statements or string manipulation. When working with Objective-C, you need to combine two strings that make it long. For Swift, you just simply need to add the “+” sign to connect two channels or strings. Swift also offers several speed advantages at the time of development, which in fact, saves cost. For example, a complex object type runs 3.9 times faster than an implementation of the same algorithm in Python. It’s also better when compared to Objective-C, which is 2.8 times faster than the Python version. Its performance is similar to that of C ++, which is considered the fastest computational algorithm. In December 2014, Primate Labs released a report on the performance of Swift and C ++. Apple made it clear that they are committed to improving the speed which helps Swift to execute applications more effortlessly. 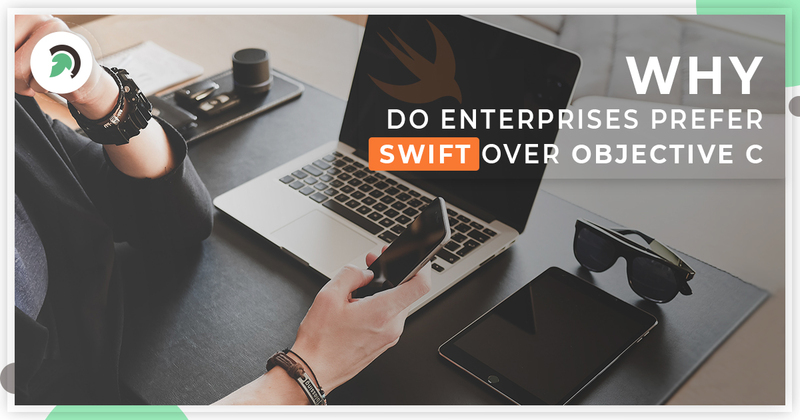 Swift proclaimed it as “Open Source” in the year 2015, which raised it’s potential to use it on a variety of platforms and back-end infrastructures. By Open Sourcing Swift programme, Apple will be able to collect feedback from the community to make improvements on a regular basis as independent developers are allowed to play with the swift programme on their community platform. Swift has not only succeeded because it is well structured and designed, but also because many developers have supported it. Its syntax and linguistic constructions give rise to various possible errors in Objective-C. This stability in Swift means fewer crashes and unexpected behaviors. Of course, this does not exclude writing wrong or bad code, but a developer is better protected against unwanted errors. This is also termed as “quality control”. All this gives a solid viewpoint to consider Swift as the safest programming language, which is very important. Swift Playgrounds has opened up new opportunities for developers. With this tool, you can test the code on the live moment, without compiling large parts or creating the whole application. In Visualizing Playgrounds Data, a programmer can quickly review and correct their scripts or codes during IOS application development. This is especially applicable to doing custom views and code experiments. ● Say Goodbye to traditional NS namespace, an Objective-C legacy that will finally to take a step down. ● Enhancements to the Application Binary Interface (ABI), this is the interface which is working between host OS and libraries. ● Test modules, for developers so that they can drop test folders into Swift projects. ● C++ Interoperability, permitting the programmers to use legacy and native codes. ● Swift currently depends on its OS level libraries for synchronized processing and need its own built-in concurrency in future. It’s time for every developer to switch with a much easier, faster and broad iOS and OSX programme. And, Swift has the potential to create immersive, responsive and consumer-oriented Mobile and iOS application applications now and over years to come. 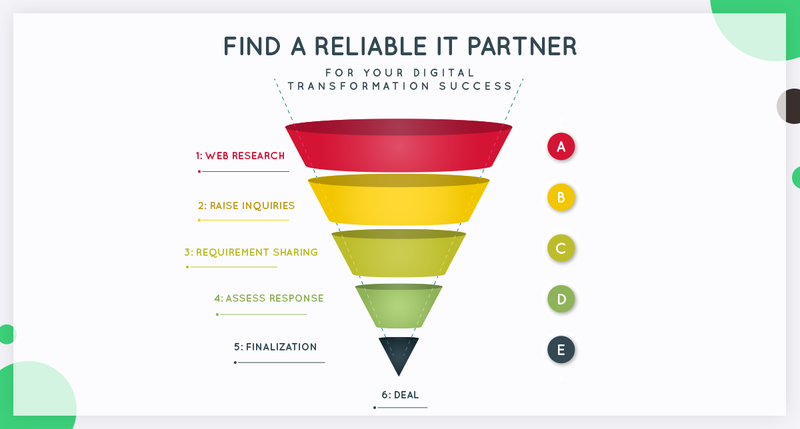 Next articleWhy Sitecore is Perfect for Enterprise Development?